By all accounts, our daughter was normal before receiving the HPV vaccine. Katie performed very well in school. She was conscientious, hard-working and took pride in getting good grades. She loved dancing having taken dance classes since she was 3 years old. Katie always danced and twirled throughout our home and anywhere else she happened to be. When Katie was 10, she joined cheer leading and became involved in competition cheer leading. She was very active, taking four hours of dance class every week plus spending many more hours practicing with her competition cheer team. Katie was healthy and vibrant. We were very diligent with our children’s health. We never missed an annual check-up and we also followed the pediatrician’s recommended vaccine schedule including annual flu shots. Our pediatrician recommended the Gardasil vaccine. The Gardasil vaccine was heavily advertised on TV. We read the vaccine Disclosure. It said that the vaccine should not be given to those with HIV. Katie did not have HIV so we signed the Consent. 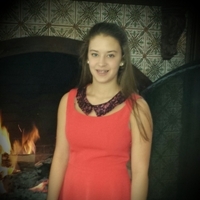 On September 2, 2010 at the age of 11, Katie received the first Gardasil vaccine. Katie’s first day of middle school was September 7, 2010. Initially, we believed that her fatigue and headaches were being caused by having to get up much earlier in the morning for middle school. However, she never adjusted to the new schedule and soon her symptoms began exploding. Katie would often tell us “I don’t know what’s wrong, I just don’t feel good.” She began sleeping a lot – over 12 hours a day and even more on the weekends, which would allow her gather enough energy to go to school a few days before she crashed again. She missed days at school, dance lessons and cheer practices. Soon her illness was visible on the outside too. Katie didn’t look good – constant dark circles under her eyes, her skin color was ashen and she appeared listless. To us, it seemed that her symptoms must be related to the Gardasil vaccine. Katie’s earliest symptoms began after receiving this vaccine. We searched the internet but only found vague information – nothing that matched our daughter’s symptoms. We asked Katie’s pediatrician and other specialists if the Gardasil vaccine could be related to her symptoms but our inquiries were quickly dismissed as not having any correlation to her illness. Katie’s earliest symptoms were a constant headache or migraine that did not respond to pain relievers, stabbing 24/7 bilateral ear pain, fatigue not relieved by sleep, abdominal pain, nausea and joint pain. We called and visited her pediatrician repeatedly. We began taking Katie to specialists including Neurologists, ENT’s, GI, and an OBGYN and made several visits to the Emergency Room. Katie also received many blood tests, CAT scans and an MRI. Nothing any of the doctors did relieved Katie’s symptoms. As a matter of fact, the drugs prescribed to alleviate her symptoms only made her feel worse. Our pediatrician and other doctors involved with Katie’s care began suggesting that her illness was psychosomatic and recommended that we take her to a psychologist. We soon found that we were on our own, dealing with a medical issue we did not understand but trying desperately to help our daughter. When searching the internet with Katie’s symptoms, Lyme disease would always come up as the search result. In addition to asking all of Katie’s doctors if the Gardasil vaccine was the cause of Katie’s illness, we also began asking if Lyme disease could be the culprit. In October 2010, Katie was first tested for Lyme disease. The results were negative as were two later rounds of testing. We read on the internet that ELISA and Western Blot tests for Lyme disease are unreliable and that many people who actually had Lyme disease tested negative. Since this information is all over the internet, we thought it was common knowledge to doctors as well. Instead, we were emphatically told by doctor after doctor that this was not true, that the testing for Lyme disease is highly reliable and that there was no way Katie had Lyme disease. In April 2011, Katie could no longer go to school or participate in dance or cheer leading – the pain and fatigue was all consuming. Nothing any of the doctors did provided any relief yet every doctor refused to consider Lyme disease or that the Gardasil vaccine was related to her illness. Katie’s list of symptoms included the following: 24/7 headaches and migraines, 24/7 stabbing ear pain, hyperacusis, fatigue, abdominal pain, nausea, all over joint pain, constant sore throat, visual disturbances, light sensitivity, cognitive issues such as memory and severe comprehension problems, random numbness and tingling, weird “bug crawling” skin sensations, generalized weakness throughout her body (it was difficult for Katie to just sit in the shower to bathe), dizziness, fainting and heart palpitations. She slept long hours and stayed in her bedroom shielding herself from the noise of everyday living. In May, we requested testing through a lab specializing in tick-borne disease testing. Katie’s pediatrician reluctantly signed the lab Requisition Form. This time the test results showed that Katie was highly positive for Bartonella Henselae, a tick-borne disease also known as a co-infection to Lyme disease. She was also highly positive for Mycoplasma Pneumonia and the testing showed that her immune system was struggling. Katie’s Western Blot for Lyme disease was negative. We took those results with us to a long awaited CHOP Diagnostic Center appointment (think the “Dr. House” of the Children’s Hospital) and also to her CHOP Neurologist. Katie even had the classic Bartonella rash (looks like purple and red stretch marks) surrounding her breasts and hips which is confirmation of an active Bartonella infection. Both doctors told us that these test results only showed that Katie was “exposed” to Bartonella – it did not mean she had an active infection. Both came to the same conclusion that her Bartonella rash was actually just stretch marks. That was particularly hard for us to believe. Katie was muscular and lean from years of dance and cheer. Neither doctor was concerned about her blazing Mycoplasma Pneumonia infection nor was the fact that the testing showed her immune system impaired. Instead, CHOP Diagnostic Center diagnosed Katie with the beginning stages of Dysautonomia (a malfunctioning automatic nervous system). We were told that there was no cure and that symptoms were managed with medications. The CHOP Neurologist wasn’t in agreement with CHOP Diagnostic Center; instead she stuck to her prior diagnosis – Chronic Migraine Disorder with Chronic Ear Pain Neuralgia. The Neurologist recommended that we continue with the same treatment of 20 pills a day even though it did absolutely nothing for Katie other than increase her nausea and head pain. We felt utter disbelief, despair and anger. We found our way to a local support group for those suffering with tick-borne diseases, which provided recommendations to LLMD’s (Lyme Literate Medical Doctors). Katie’s first appointment with an LLMD was in June 2011. This physician spent an hour reviewing blood tests and other medical reports we collected and asked a lot of questions that had never been asked before. He clinically diagnosed Katie with Lyme disease and agreed with the test results that reported active infections with Bartonella Henselae and Mycoplasma Pneumonia. He told us that Katie was very sick. Ironically, upon hearing that news we felt utter relief. This was the first doctor, since Katie’s illness began over nine months before that acknowledged she was ill. Since that time, Katie was diagnosed with chronic Strep, HHV6, hypo-coagulation, susceptibility to bio-toxin illness (mold and environmental sensitivities) and has acquired autoimmune thyroid disease. It has been three and a half years since Katie received the Gardasil vaccine and she still remains chronically ill. She was unable to attend school in 7th and 8th grades. This year, Katie decided to repeat 8th grade again rather than begin high school still sick. 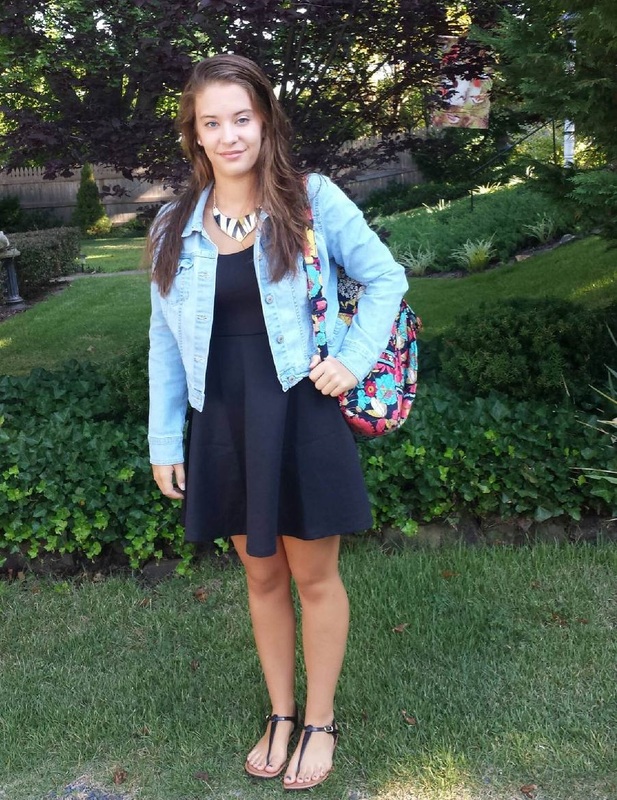 Katie has an IEP plan in school which reduces her daily schedule to three core classes only. Unfortunately, Katie is still too sick to attend school with any regularity. Most days, a teacher comes to our home to review the lessons she missed at school. Some days, Katie’s pain levels are too high so that she can’t even tolerate home tutoring. Although she longs to get back to dancing again, she spends most days in her room sleeping or resting and trying to cope with chronic pain. At 14 years old, Katie’s life closely resembles a sick elderly person instead of an active vibrant teenager she should be. After Katie was finally diagnosed with tick-borne diseases, we put our initial suspicion about the Gardasil vaccine aside. Since the treatment of tick-borne diseases is considered emerging medicine, I am always combing the internet for new information on tick-borne diseases, the latest research or treatments. To our utter disbelief, I came across an article reporting that the Gardasil vaccine can activate a latent Bartonella infection that was otherwise being suppressed by a properly functioning immune system prior to vaccination. We now believe our earliest suspicion was correct. We found many stories about devastating health changes post-vaccine. These stories are eerily familiar to our daughter’s. The Gardasil vaccine is known to activate latent infections and viruses, such as Epstein Barr and Bartonella. The Gardasil vaccine deregulates the immune system and that allows latent infections and viruses, which were kept in check pre-vaccine by a then properly functioning immune system, to activate post-vaccine. Now, there is evidence that the HPV vaccine is linked to the onset of autoimmune diseases. We recently consulted Katie’s LLMD and also her Primary Care Physician, who reviewed Katie’s vaccine log and extensive medical records. Both agree that Katie’s immune system was injured by the Gardasil vaccine and that it was the catalyst to her cascading health problems and chronic illness. Katie’s LLMD is now treating her for a vaccine injury in addition to treating multiple tick-borne diseases, other infections/viruses and autoimmune thyroid disease. At this point, we are totally outside our insurance company and most everything is out-of-pocket. The overall expense of Katie’s illness greatly outpaces our income so many expenses are put on credit cards. But the biggest cost by far is the toll that the Gardasil vaccine has taken on our daughter’s health and well-being. We wonder if she will ever be able to reclaim her health and get back to living a normal life free of pain. We deeply regret consenting to the Gardasil vaccine. We had no idea of the severe side effects some experience post vaccine. Every day, we wish we had been more informed. Parents beware of blindly following your doctor’s recommended vaccine schedule. Do not rely or expect your doctor to know everything. You must do your own research and ask plenty of questions. Our family found out the hard way that it is possible for a vaccine to have lasting and devastating effects. Click link: Bill Gates Foundation Announces Population Control Microchip MARK OF THE BEAST! Categories: gardasil, Uncategorized, vaccine | Tags: gardasil, vaccine | Permalink.